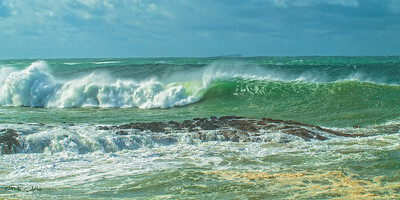 UNIQUE ORIGINAL COLOURFUL AUSTRALIAN LANDSCAPES, MARINESCAPES, & SEASCAPES. Picturesque destinations that include Pristine snow white sandy tropical beaches and islands. Crystal clear waters and exhilarating spectacular land, ocean vistas, and panoramas that frequently include coastal bird life. Brisbane Water Yacht Reflections. Photo art. Crystal clear water reflections of beautiful & classic yachts moored in the glass smooth waters of Brisbane Water. Photographed at Gosford, New South Wales, Australia east coast. Best Island Beach in the World The unique scenic wonder "YELLOW PATCH" Curtis Island, Queensland, Australia. The photograph was taken at Curtis Island, Queensland, Australia. PLEASE NOTE. All Images in this gallery are delivered Free, electronically, worldwide as a Digital Download WITHOUT the Bold Watermark and the small artist's signature . This image is ready for you, or your local printer, to print and it also may be used as a colourful desktop screensaver. DOWNLOADS HELP. For EASY to follow image Download Instructions, please Click: http://www.sunnypicsoz.com/HELP-With-DOWNLOADS All photos can also be supplied as a Hard Copy Print, and with options to buy as a "Mounted and Framed Art Piece" ready to hang, ( However, it is usually Less expensive and much Quicker to have a Local printer in your own country or locality print for you off our - Instant Free Electronically Delivered "Digital Download File" ). For more information please CONTACT ME. To Contact Me for any personal assistance, please Click "CONTACT ME" in the NAVIGATION Menu (Top Right) Affordable Quality Images - With instant worldwide free electronic delivery. (C) 1998-2018 Geoff Childs. All rights reserved. A Sole jogger enjoying the solidude of this pristine tropical beach. This photograph was taken at Mooloolaba, Queensland, Australia. Breaking surf as a result of Seven meter (22 ft) seas just out side the entrance to Coffs Harbour. Photographed in New South Wales, Australia. Pristine Tropical Island with snow white sandy beach and blue sky. A panoramic seascape photo. Photograph Queensland, Australia. PLEASE NOTE. All Images in this gallery are delivered Free, electronically, worldwide as a Digital Download WITHOUT the Bold Watermark and the small artist's signature . This image is ready for you, or your local printer, to print and it also may be used as a colourful desktop screensaver. All photos can also be supplied as a Hard Copy Print, and with options to buy as a "Mounted and Framed Art Piece" ready to hang, for more Information please CONTACT ME. ( However, it is usually Less expensive and much Quicker to have a Local printer in your own country or locality print for you off our instant electronically delivered "Digital Download" ). DOWNLOADS HELP. For EASY to follow image Download Instructions, please Click: http://www.sunnypicsoz.com/HELP-With-DOWNLOADS To Contact Me for any personal assistance, in the NAVIGATION Menu (Top Right) please Click "CONTACT ME". Affordable Quality Images - With instant worldwide free electronic delivery. (C) 1998-2018 Geoff Childs. All rights reserved. The old Gosford Public School. Original exclusive photo art. The recently demolished old Gosford Public School. (2015) Gosford, NSW, Australia. Boats at Marmong point marina. 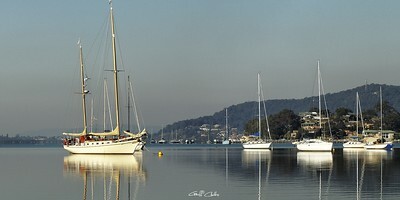 Photographed at Marmong point, Lake macquarie, on the Australian east coast. Striking sunrise with water reflections tree & boat silhouetes at Marmong point. 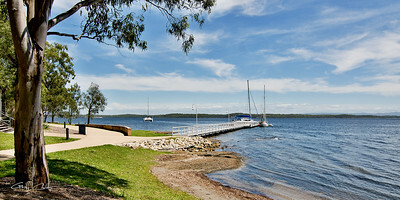 Photographed at Marmong point, Lake macquarie, on the Australian east coast. 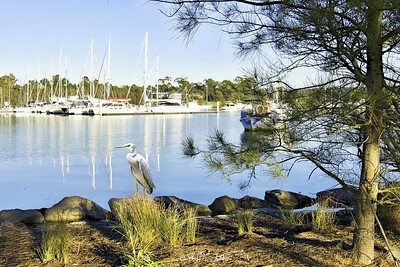 Boats at Marmong point marina with a White Faced Heron in the foreground. 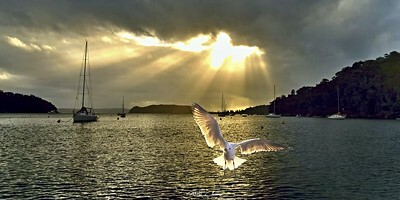 Photographed at Marmong Point, Lake Macquarie, on the Australian east coast. Boating at beautiful Towlers Bay Photographed at Towlers Bay, Pittwater, on the Australian east coast. DOWNLOADS HELP. For EASY to follow image Download Instructions, please Click: http://www.sunnypicsoz.com/HELP-With-DOWNLOADS To Contact Me for any personal assistance, in the NAVIGATION Menu (Top Right) please Click "CONTACT ME". Affordable Quality Images - With instant worldwide free electronic delivery. (C) 1998-2018 Geoff Childs. All rights reserved. Fort Denison, in Sydney Harbour also known as "Pinchgut Island". Located in Sydney Harbour, Fort Denison, also known as "Pinchgut", is one of Sydney's historic landmarks. 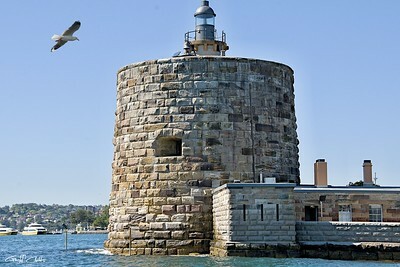 When the First Fleet arrived in 1788, Fort Denison was a steep, rocky island known to the Aboriginal people as Mat-te-wan-ye and was a popular fishing place for local tribes. The name "Pinchgut" arose soon after, as convicts who had committed secondary crimes were charged and confined in leg irons on the island, with rations of bread and water. Jetty with Water Reflections & Seagulls. Jetty with Water Reflections & Seagulls. Photographed at Rathmines, Lake Macquarie, on the Australian east coast. PLEASE NOTE. All Images in this gallery are delivered Free, electronically, worldwide as a Digital Download WITHOUT the Bold Watermark and the small artist's signature. This image is ready for you, or your local printer, to print and it also may be used as a colourful desktop screensaver. Scenic F Jetty. Original exclusive photo art. Waterfront Scenic "F" Jetty. Photographed at Rathmines Lake Macquarie on Australias east coast. Country Walk - Landscape. 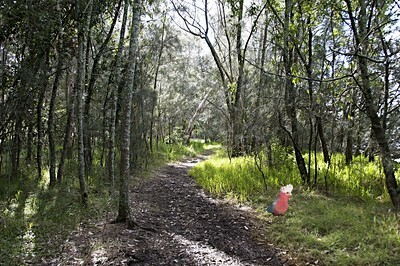 Delicate backlit forest at Rathmines waterside park with Australian Gum Trees and a Pink Galah ( Eolophus roseicapilla ) in the forground. Picture from Styles Point, Lake Macquarie. Kookaburra Amongst the Gum Trees. 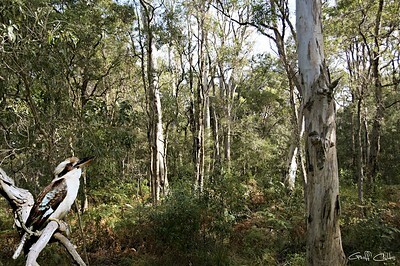 Bush landscape with Australian Gum Trees and a Blue Wing Kookaburra (Dacelo Leachii) in the foreground. Picture from Styles Point Lake Macquarie. Tropical marinescape, seascape, water,sandy beach and palm trees. 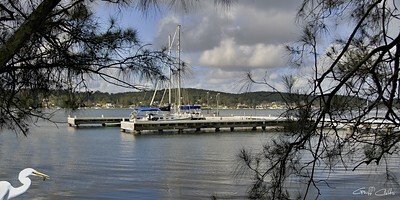 Photograph Norman Point, Tin Can Bay, Queensland, Australia East Coast.